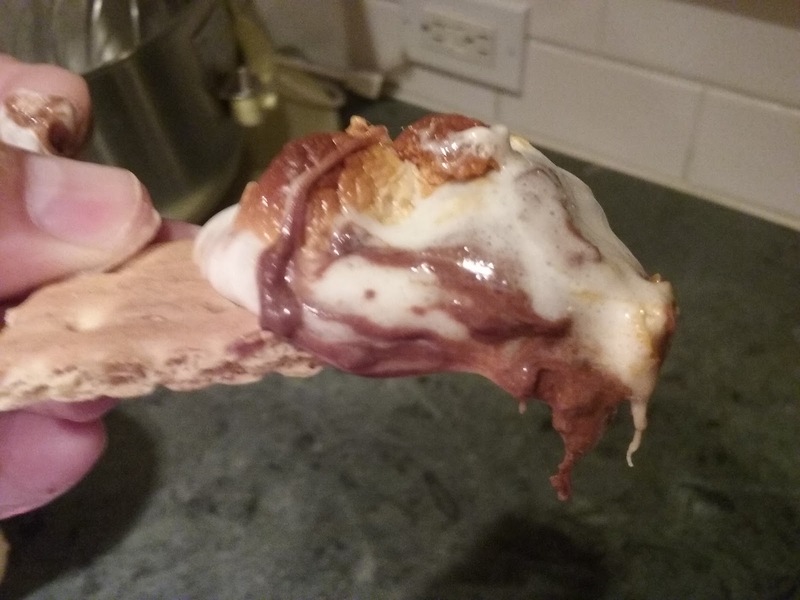 Recipe #115: S'Mores...Anytime You Want!!! 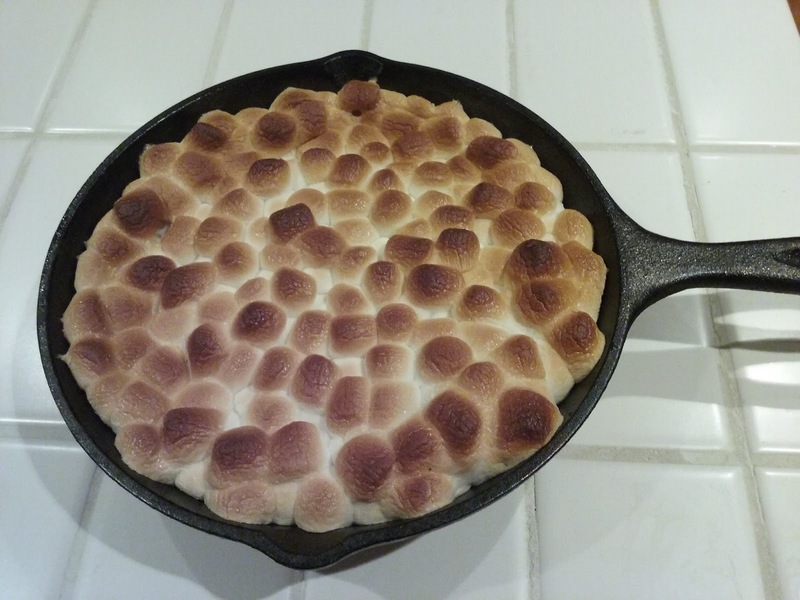 Heat oven to 425. 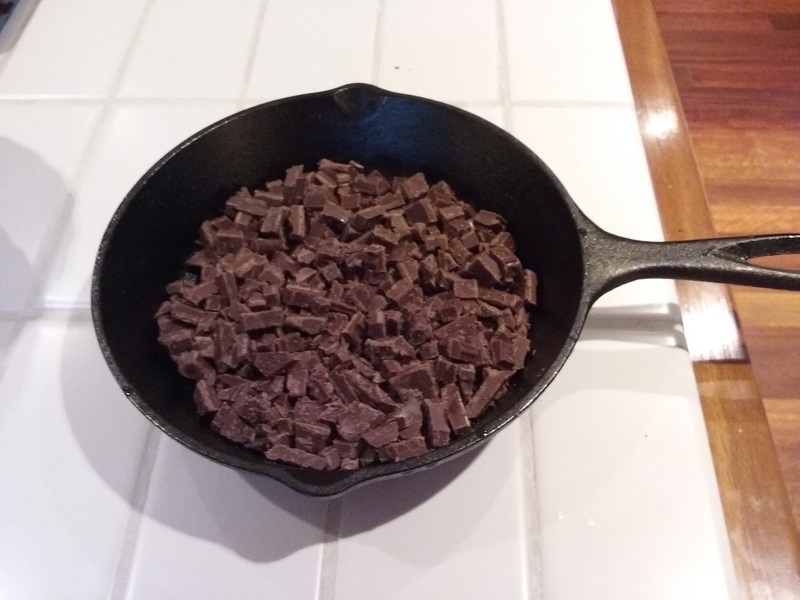 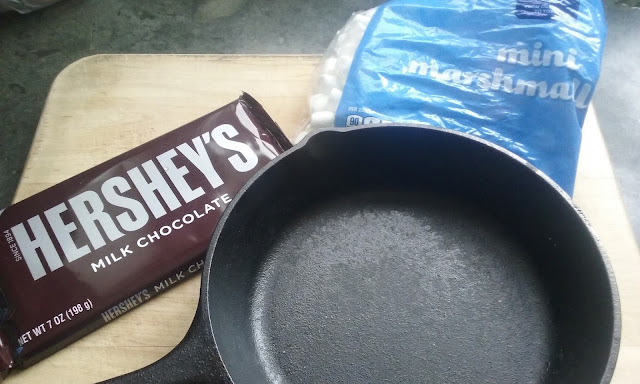 Break up the Hershey bar into the scored squares and put in pan...it doesn't need to be an exact break, but the two bars should more than cover the pan. 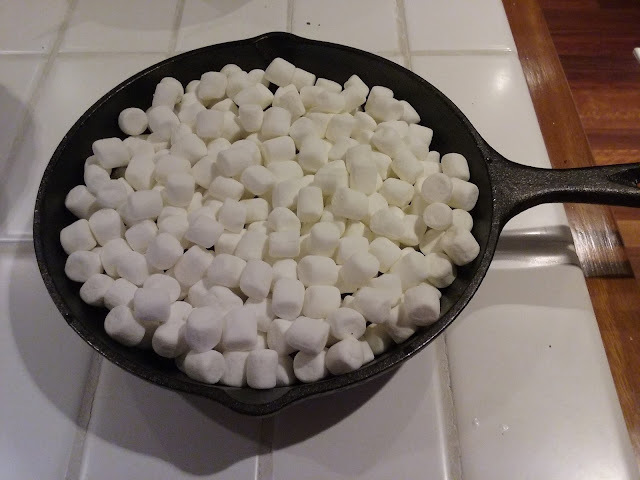 Sprinkle the mini marshmallows so that chocolate is completely covered. 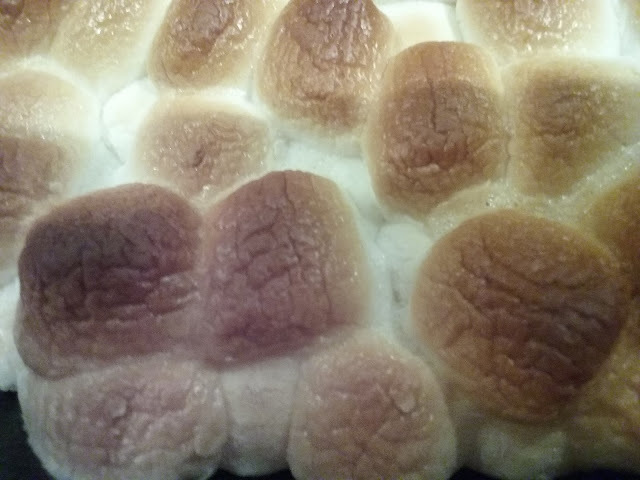 Place pan in oven and bake anywhere from 5-8 minutes, making sure to keep an eye on the marshmallows so they don't burn.